From “You’ve Got Mail” to Nigerian prince schemes, email has been a vital part of online marketing from the start of the internet and it still is. About 2.5 billion people use email worldwide and that number is not decreasing any time soon. Email marketing is a personal and effective way of reaching your target customers, sometimes even more effective than social media for customer acquisition. 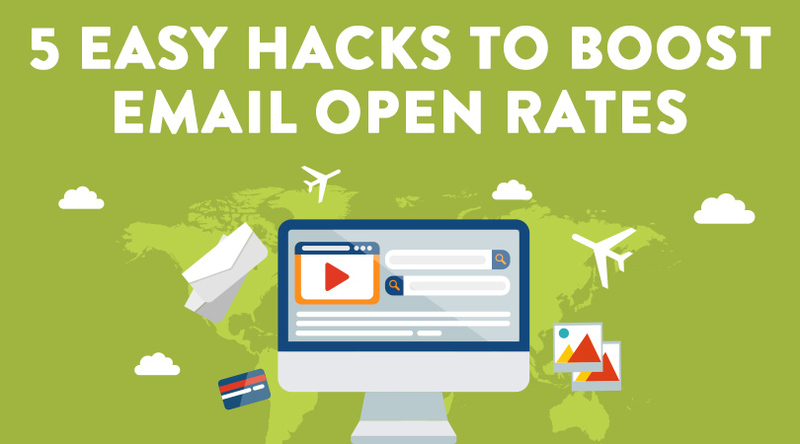 Email marketing is crucial for your company’s success so here are 5 super simple hacks to get people to open your emails and get them talking about your business. Scheduling: The easiest thing you can do to increase the open rate of your email newsletters is to schedule them at the right time. For example, if you run a B2B company sending emails within business hours is going to work best. You may not want to send an email first thing Monday morning or Friday evening as we already pointed out, but sending an email around 11am on a Wednesday may be a better fit. However, if you are a B2C company, you might want to send out newsletters later in the day. Numbered Lists: Numbered lists grab everyone’s attention, hey you’re reading this numbered list right? It’s an easy and effective way to communicate information and persuade costumers. Be Creative with your Subject Lines: Subject lines are the first thing your audience will see and about 47% will open an email just due to the headline. So taking time to craft a clever and intriguing headline that will grab your audience attention immediately. The ideal headline should be 4-7 words. Be creative in how you get people to open your emails. Use song lyrics. Add some emojis. Be personal. Send to non opens: An easy strategy to get more people to open your email newsletter is to send the same email again to all the people who didn’t open your first one! This is probably the simplest way to get more people to see your emails. Probably the most important thing you can do to boost your email open rates is to make sure that they are mobile-friendly. 66% of all emails in the US are now read on a smartphone or a tablet. If your email text is too small or just not mobile-friendly, then people will not want to read through the email. Email marketing is still very crucial to your business marketing strategy. You will be missing out on huge ROI and conversions if you do not take email newsletters seriously. How is your email marketing strategy? Is it bringing in revenue and conversions? Contact our team of marketing specialists to see how we can improve your email marketing!